Editors of the 1999 Outside Family Vacation Guide, a summer planner, have named Virginia's very own Douthat State Park one of the nation's 10 best. It's on the National Register of Historic Places and straddles Bath and Alleghany counties. 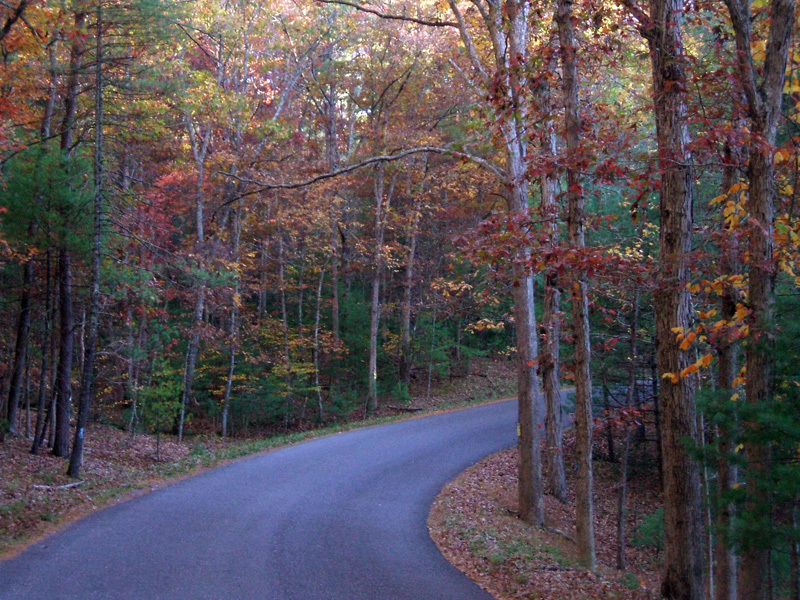 Douthat was one of the original six Virginia State Parks to open on June 15, 1936. Douthat is nestled in the Allegheny Mountains and features some of Virginia's most outstanding scenery. 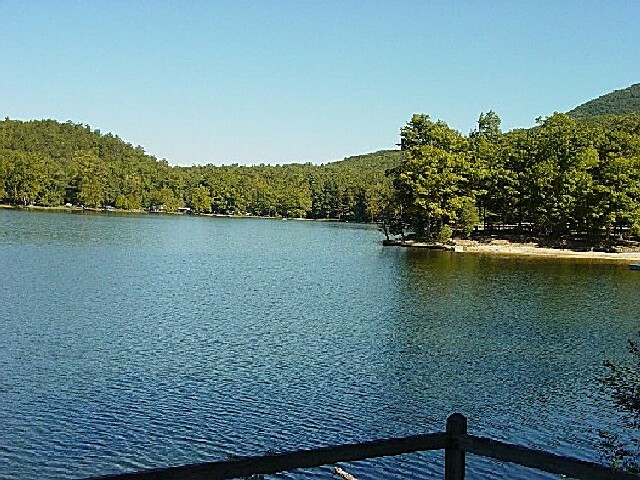 In addition, a 50-acre lake offers swimming, boating and seasonal trout fishing. 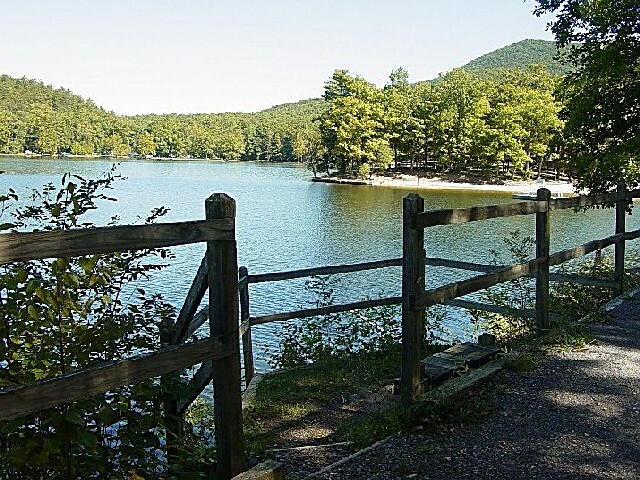 Douthat was one of six state parks planned by the Commonwealth in the early 1930s. The initial 1,920 acres of the present-day park was donated by the Douthat Land Company, a consortium of Virginia businessmen. The rest of the land was purchased with a portion of the $50,000 in funds allocated by the General Assembly in 1933 for park land acquisition. The establishment of the Civilian Conservation Corps CCC as part of the emergency Conservation Works by President Roosevelt in 1933 provided the means for development of the parks. An estimated 600 men lived and worked at the three camps responsible for building Douthat's facilities. Between 1933 and 1942, these men cleared trails, built a dam and spillway, cabins, a guest lodge, a restaurant, an information center, superintendent's residence, swimming beach, picnic areas and maintenance buildings. The structures are embellished with hand-carved wooden doorknobs and hinges, as well as hand-wrought iron hardware, light fixtures and door and shutter latches. The built and natural features of the park have remained virtually unchanged since construction. 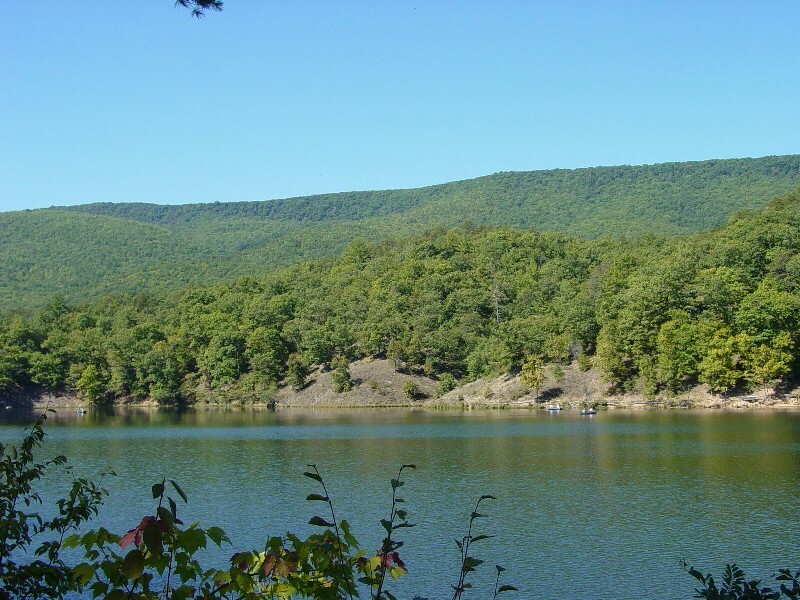 In 1986, the 50th anniversary of Douthat State Park and the Virginia State Park System, Douthat was recognized as a Nationally Registered Historic District. 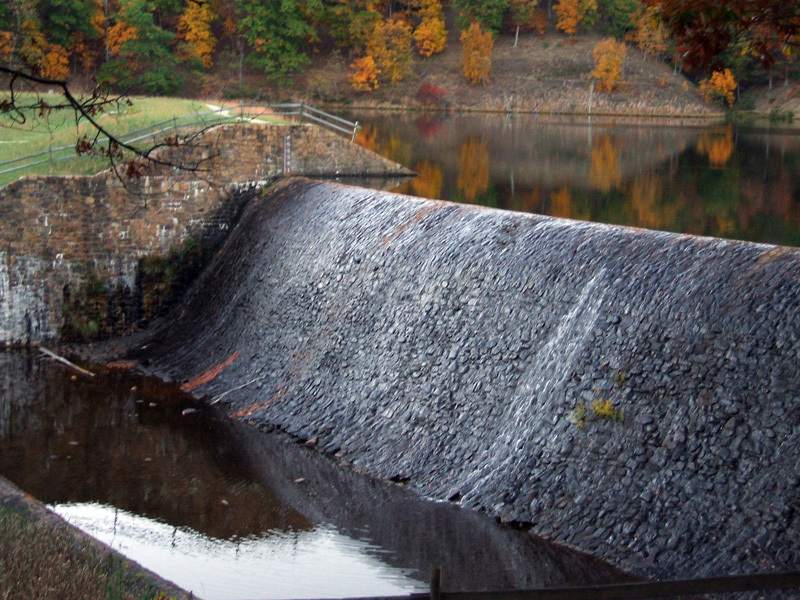 In 1998, Douthat won the Virginia Lakes and Watersheds Association award for best operated and maintained dam for its Douthat Lake Dam. In 1999, Douthat received the Centennial Medallion from the American Society of Landscape Architects. All weekly rentals begin on Saturday or Sunday. No cabins have a view of water. Note You must have with you either your reservation numbers or your confirmation letter at check-in. If you've arranged for someone else to check in for you, make sure that person has your reservation number as the number is needed to enter the cabin. 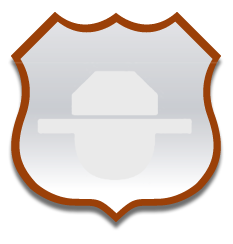 Camping and cabin guests should be prepared to show a valid ID if requested. Cabins have rustic furniture and are climate controlled heat and AC. Bring food, dish detergent and extra dish towels, all personal care items, coffee filters, coffee, salt and pepper, nonstick cooking spray, bodywash/soap, extra bath towels, board games or cards. No dishwasher, telephone, TV, washer/dryer. Bed linens, two towels and one washcloth per person are provided. You might prefer bringing your own pillow as well as a comforter - nights can be chilly in the mountains. Kitchen Refrigerator, stove, coffeemaker, dishes, dishcloth, a few dish towels, silverware, cooking utensils, pots and pans, microwave oven, toaster, clock radios. Living Area Loveseat, dining table no loveseat in cabins 10, 20, 22 Bedrooms Beds and nightstands Fireplaces Heat pumps Air conditioning Picnic tables Grills Rocking chairs on porches No decks Pay phones are in the restaurant parking lot, park office entrance and Lakeside Campground A. Swimming and boat launching free for overnight guests. Firewood $3 for eight pieces may be purchased in park office or camp store bring a starter log and/or kindling. Late arriving guests will find on the park office door a note with instructions on how/when to register the following morning. A park map with directions to the cabin is provided. The park office is the first building on the right after exiting I-64 and passing the booth at the park entrance. From cabins 1-9, the lake is seasonably observable. Cabins 22-25 are called Creek Row locally. The creek is about 30 feet from the front of the cabins. Not considered waterview. Cabin 2 CL1B Only two people maximum one double-bed, no room for extra beds or sleeping bags. Cabins 5 and 11 have an empty extra room. Cabins 4, 17 and 19 have bed space for three these cabins can sleep four with the rental of a cot. Cabins 1-25 have open porches. Cabins 26-30 have enclosed screened porches. Swimming and boat launching free to overnight guests. Firewood is available in park office and camp store bring a starter log and/or kindling. Late arrival campers will find a note on the park office door giving them instructions on how/when to register the following morning. Park maps are provided so that these campers can find their way to the campground. The park office is the first building on the right after exiting I-64 and passing the booth at the park entrance. Campsites have grills that be used for cooking or a campfire. All fires must be kept within the grill. Picnic tables and lantern posts are also provided. Two vehicles per campsite in addition to camping unit extra vehicles must park in overflow parking area, and parking fees apply for extra vehicles. All equipment must be placed within site's gravel borders. Campsite vehicle area is crushed run gravel tent pad is pea gravel for drainage. Park visitors not registered for cabin/campground use must pay parking fee and leave the park by 10 p.m. 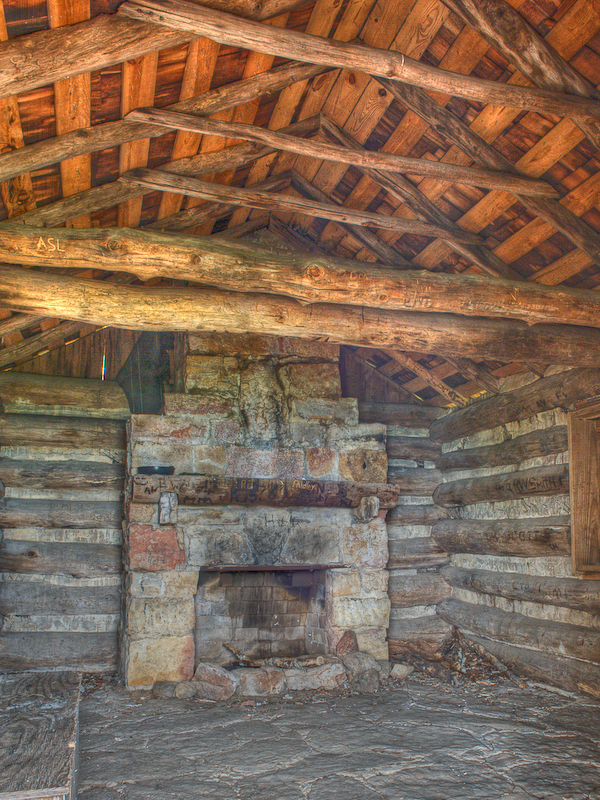 This log lodge overlooks the park. It was built by the CCC. It accommodates 13 or 15 with rental of two cots. There are six bedrooms: one double bed, one double bed, one double bed, four twin beds, two twin beds and one twin bed. * TV/VCR and telephone in living area. 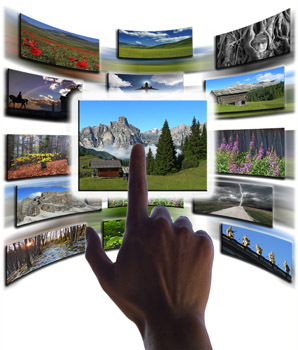 TV is for use with a VCR only - no cable, satellite or broadcast reception. Local, calling card or collect calls only. * Kitchen: Stove, microwave, refrigerator, dishwasher, drip coffee maker, dishes, silverware, toaster, basic pots and pans; few dish towels. Bring dish detergent and additional towels for week rental. * Stone patio. * Charcoal grill. * Kitchen: Stove, microwave, refrigerator, drip coffee maker, dishes, silverware, basic pots and pans, dish towels; advise to bring dish detergent and extra dish towels for week rental. * Deck. * TV-VCR and telephone. TV is for use with a VCR only - no cable, satellite or broadcast reception. Local, calling card or collect calls only. * Charcoal grill. Memorial Day to Labor Day - The beach area, complete with bathhouse and concession, is open Memorial Day through Labor Day, 11 a.m. - 7 p.m. Friday, Saturday and Sunday and from 11 a.m. - 6 p.m. Monday through Thursday. Click here for park fees. In the summer, swimming is free for overnight guests in campsites, cabins and the lodge, however it cannot be guaranteed should circumstances beyond the park's control require that swimming be closed. We do not give refunds for swimming to overnight guests under any circumstances. The boathouse is open from the first Saturday in April through the end of October. Jonboats with and without electric motors, canoes, paddleboats, hydrobikes and funyaks are available for rent during that time. A boat launch ramp is available for guests with their own non-gasoline powered boat. No launching fee is charged, but boats must be moored in designated areas. Year-round boat storage is also available from the park for a fee. No gas powered equipment is allowed on the lake. 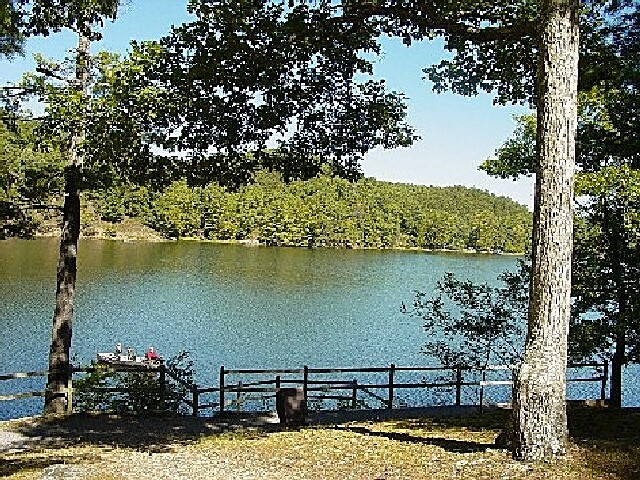 Fishing - The 50-acre Douthat Lake and adjoining Wilson Creek are stocked regularly with trout on a seasonal basis. A valid Virginia fishing license is required in addition to a trout license or daily permit depending on the season. Contact the Department of Game and Inland Fisheries for licenses and/or additional information at (804) 367-1000. No fishing is allowed anywhere in the park during the five days prior to the first Saturday in April. 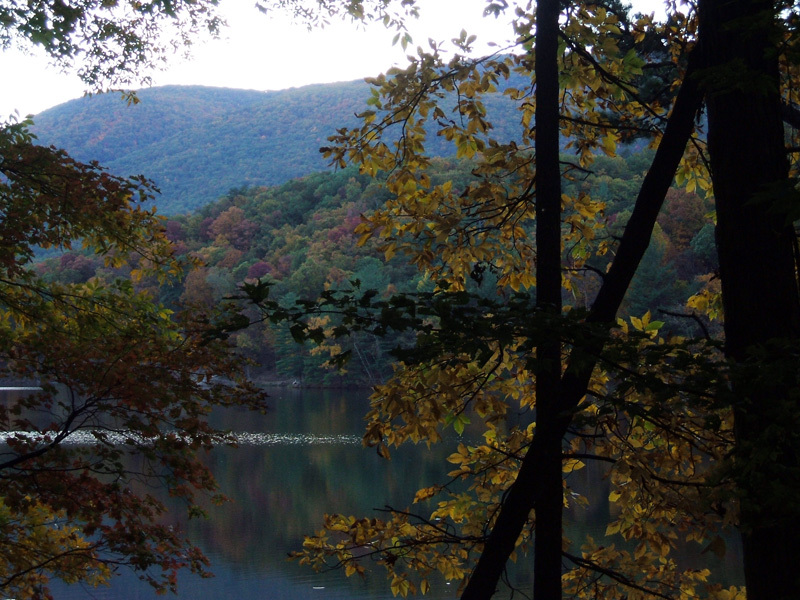 Special seasonal regulations apply at Douthat Lake. Those 16 and older (in-state) or 12 and older (out of state) need a valid Virginia fishing license. 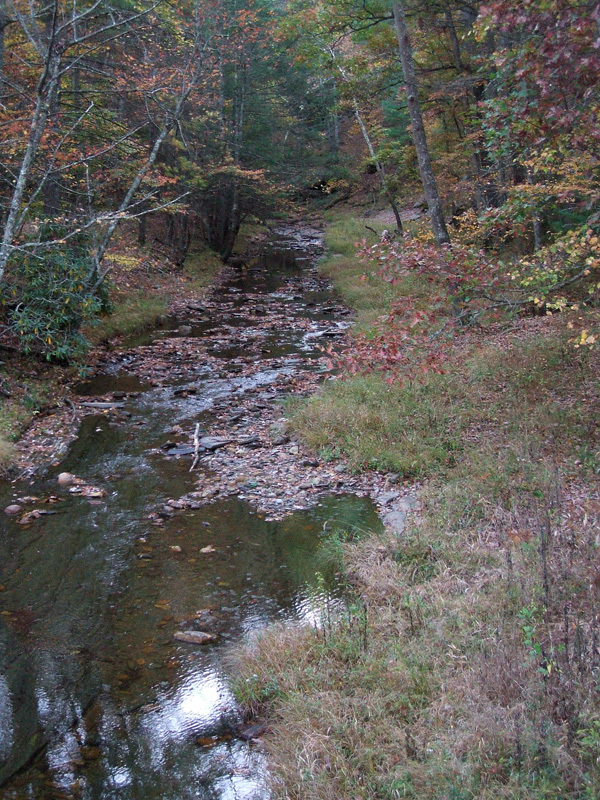 In addition, a Virginia Trout license or daily fishing permit is required, depending on the season. There is a daily creel limit of six trout with a seven inch minimum. One pole per person allowed, separate stringers required. Fishing hours are posted at the park. Anyone planning to fish will need a valid Virginia fishing license. In addition, the following rules may apply, depending on when the person will be fishing. Licenses and permits are available at the camp store. 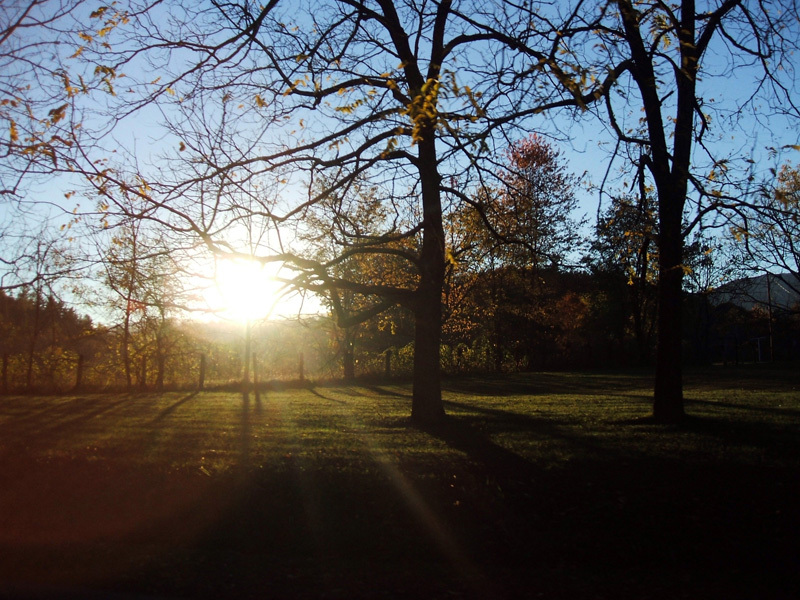 Douthat has three picnic areas with shelters, grills and restroom facilities. All picnic areas available on a first-come, first-served basis with the exception of the shelters, which must be reserved by calling the Reservation Center at 1-800-933-PARK. Three shelters are available for rent. Parking and swimming fees are not included in the shelter rental fee. Shelters can be rented from 8 a.m. to dark (all day). Camp Douthat Shelter (Shelter 1): Large shelter can accommodate 100 people under the shelter and approximately 200 additional people around it. Has electric hookup and two fireplaces with both ends of the shelter closed in. Three horseshoe pits available (bring your own horseshoes). Water spigot and hiking trails close by. Camp Carson Shelter (Shelter 2): Large shelter can accommodate 70 people under the shelter. Restroom is handicapped accessible via ramp approximately 100 feet from shelter. No electricity, but water is available. Horse shoe pit available (bring your own horseshoes). Hiking trails and playground nearby. Camp Malone Shelter (Shelter 3): Small shelter can accommodate 50 people under the shelter (other picnic tables are not close to shelter area). Overlooks dam area and lake. Access to restrooms. Water spigot close by. Two horseshoe pits available (bring your own horseshoes). Hiking trails and playground nearby. No electricity. 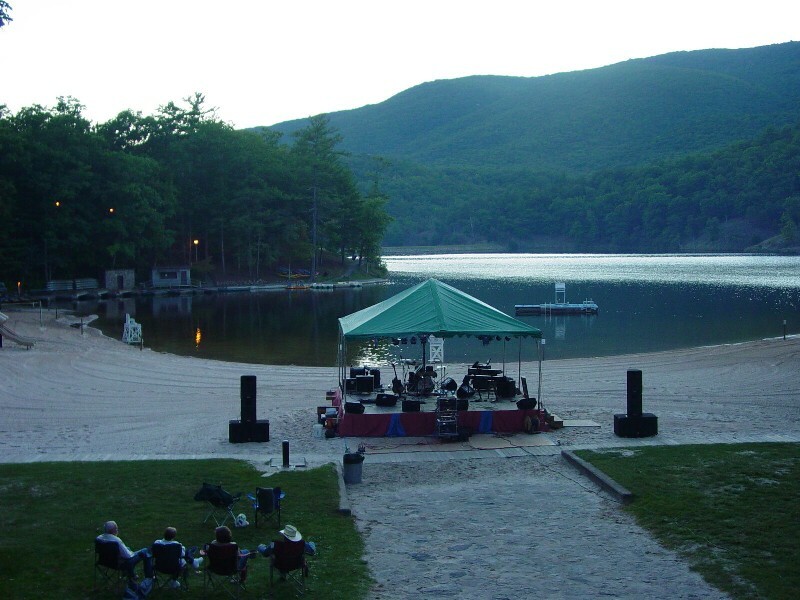 Amphitheater: Douthat's amphitheater is nestled on a point by Douthat Lake. Its bench seating accommodates up to 125 with room for blankets and lawn chairs. Electricity is available, and the facility may be rented for weddings, performances, etc., by calling the park office at (540) 862-8100. The cost is $100/day. 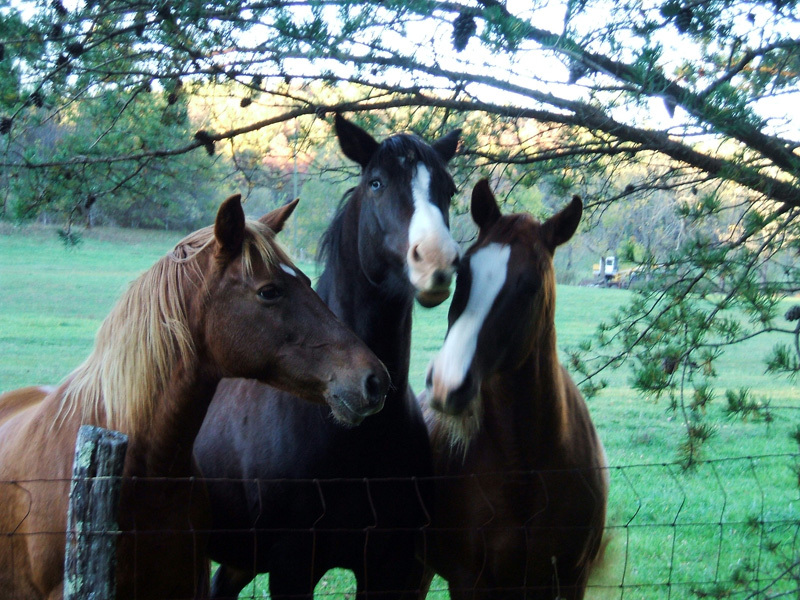 Hiking, no bridle trails (no horses allowed), bicycle trails (mountain bikes only). There are more than 40 miles of wooded hiking trails to choose from throughout the year, ranging from easy to difficult. Many park trails are open to mountain bikers, however hikers have the right-of-way. Stop in at the park office for a trail map for hiking and mountain biking. I live less that 2 miles from Douthat and I spend most of my summers there. 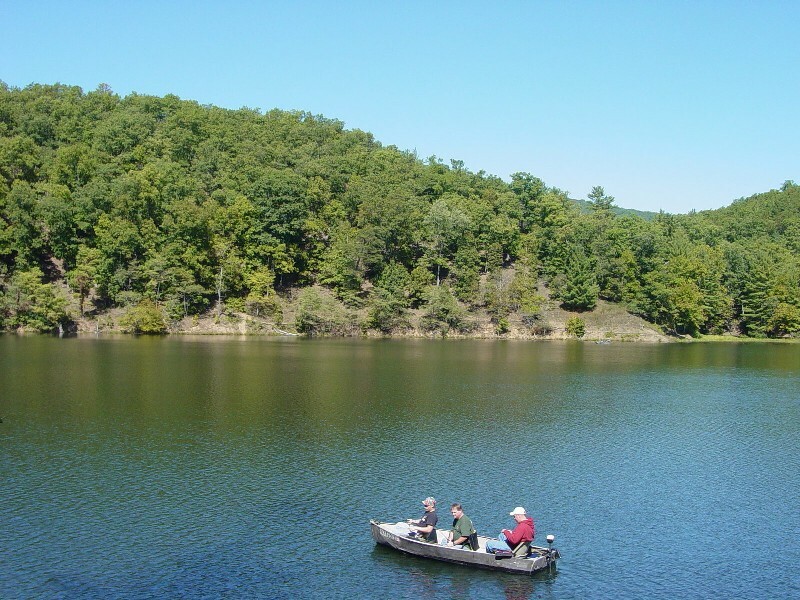 Douthat is one of favorite places to fish during the summer months. loved this park! Quiet, family-oriented, well maintained, great rainbow trout served at the Lakeside restaurant, ready to go back to stay in a cabin again! Friendly people, beautiful scenery, great hiking trails and comfy little cabins all at a terrific price. This is one of our favorite in-state vacation spots. From I-64, take Exit 27 near Clifton Forge. Turn North onto State Route 629 (highway at exit ramp). Travel north three miles to the park entrance sign and another two miles to the park office.